Last month's article "Mapping Farmers' Markets in Google Earth using XSLT" was very popular and we want to thank everyone who enjoyed reading it and responded. 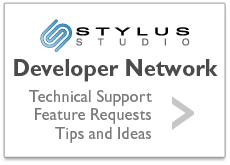 We continue to make Stylus Studio the best XML IDE and provide you with relevant content. 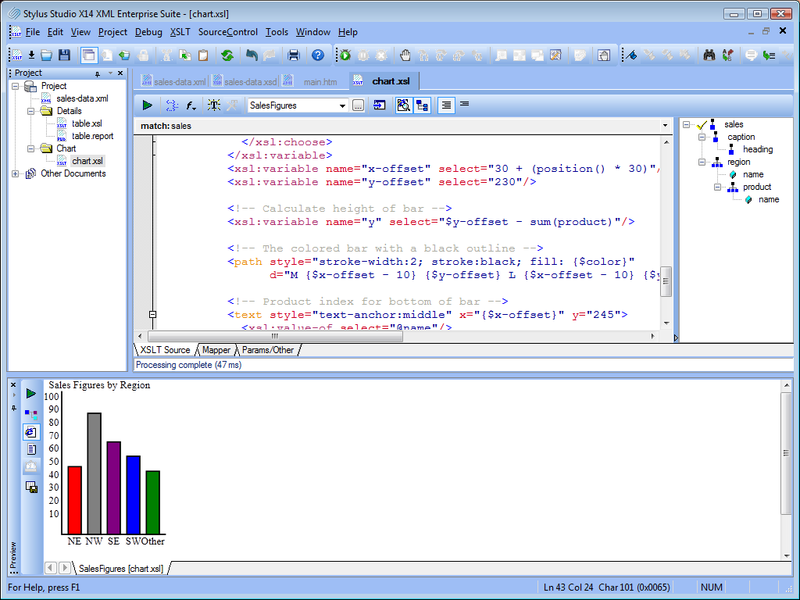 This month we are taking a look at building business dashboards using XSLT. Dashboards are a perfect way to display and monitor information, applications and more. If you like this month's demo help us get the word out! Click the "+1" button on the top of our website (next to the logo) to +1 us with your Google+ account. We believe that all of our Stylus Studio Customers who have older releases should get the benefits of Stylus Studio X14, the latest and greatest release. Email niki.peckham@ivitechnologies.com for great upgrade pricing! Please include your current activation key. Today’s economy has dramatically changed the way companies do business. Having an online presence is no longer sufficient, and order management systems have to be real-time and accessible on a large variety of devices: desktops, laptops, tablets, mobile phones. Traditional software architecture involving thick clients could not keep up with the impressive pace of change. Large IT departments could not roll out clients fast enough for each combination of platforms and devices and keep up with social media integration. The industry had to adjust quickly to new trends and still deliver robust solutions, standard based, and accessible from anywhere, anytime. In this article, we will look at how to build a simple but modern dashboard for publishing sales results. We will combine proven standards, like XML and SVG (Scalable Vector Graphics) that are integral parts of any enterprise platform, with innovative new trends like HTML 5 mobile browser. In the last few years, governments around the world have started investing significant resources to bring a tremendous amount of data online and make it available to the public, not only to improve transparency but also to give third parties the power to build very interesting applications. This fascinating archive includes an interesting document entitled 'Farmers' Markets Geographic Data'. While our world is maturing, we have come to realize the importance of getting our fruits and vegetables locally to reduce carbon emissions and to help the local economy. We thought it would useful to be able to convert the report to a format that can be rendered on a map to easily determine where farmer's markets are located nearby. Email us at stylusstudio@stylusstudio.com with any cool examples that you would like to share and we might publish it in an up coming Stylus Scoop. Copyright © 2012 IVI Technologies Inc. All Rights Reserved.